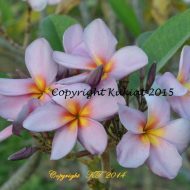 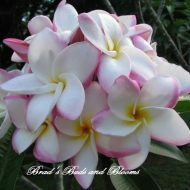 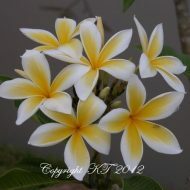 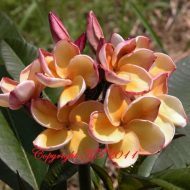 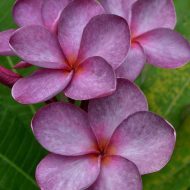 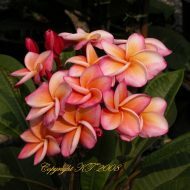 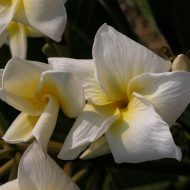 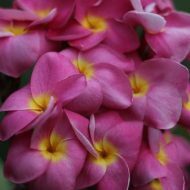 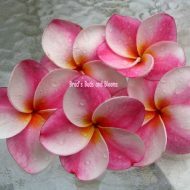 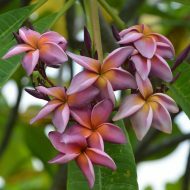 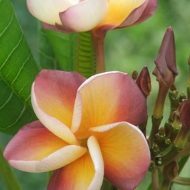 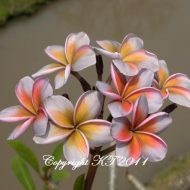 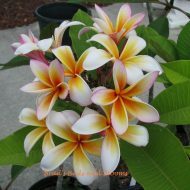 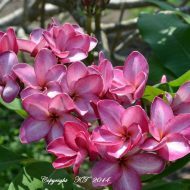 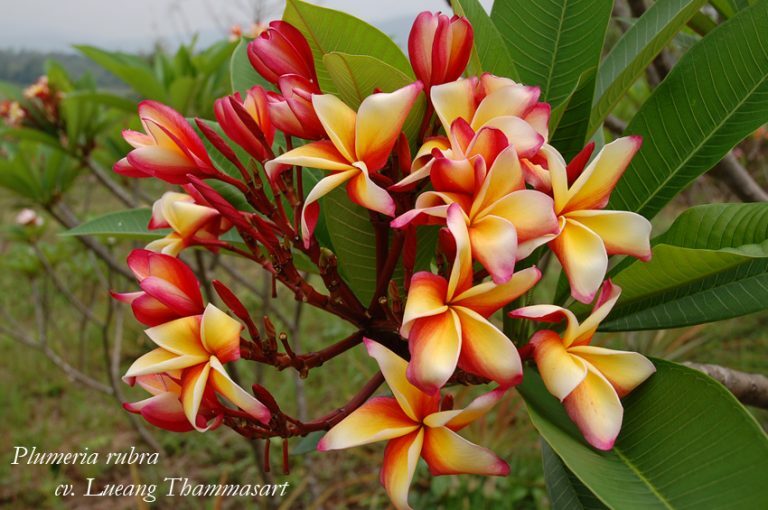 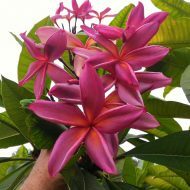 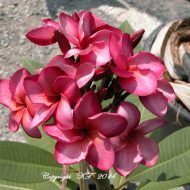 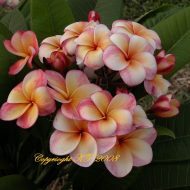 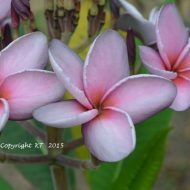 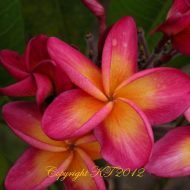 This is a most vibrant Thai variety, not commonly found from most plumerias sources. 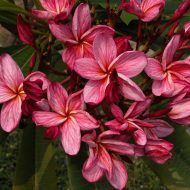 This brilliantly colored beauty produces 3.5″ flowers of a glowing gold with hints of orange, with a awesome crimson petal edges. 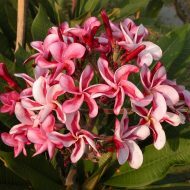 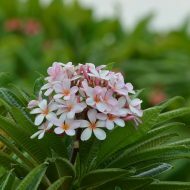 Flowers are very sweetly scented with a floral-fruity perfume. 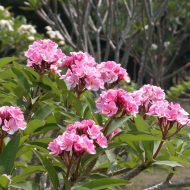 Grafted plants-13″-18″ tall–measured from the soil line.